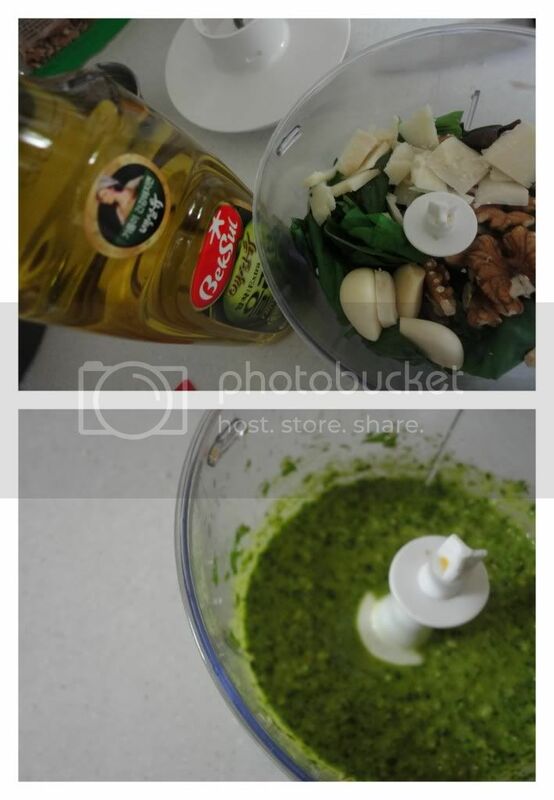 Traditionally, Pesto is made with pine nuts. They are available in South Korea. But not at my local little market at the bottom of the hill. So, I opted for Walnuts because the author of Green Kitchen Stories had done it and so would I.
I cannot recall the exact measurements, but I believe it was roughly equal parts walnuts, basil and Parmesan, enough olive oil to create a thick sauce and salt and pepper to taste. I've been enjoying this as part of a breakfast dish I'm excited to tell you about, but for now, this is all you get!